Trekking and Camping on Pergasingan Hill Sembalun 2 days 1 night package start trek at Sembalun village to top of the hill for 3 hours, overnight in tent and next day descent to Sembalun village. This trekking package suitable for non trekker. Day 1 :At 2.00 pm, the trekking start from sembalun village, begin with a gentle walk through open rice, vegetable and fruits field. After about 30 minutes walking, we’ll reach foot of the hill and begin with a gentle ascent through open grassland. After about 2 hours hiking, we’ll reach the top of the hill. Enjoy the incredible scenery from here. Dinner and sleep in tent. Day 2 :After breakfast at 10 am walk down to Sembalun village for 3 hours, program finish. 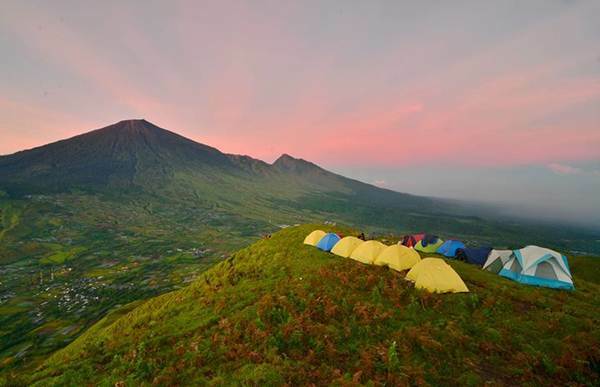 More information trekking and camping on Pergasingan hill 2 days 1 night please contact us.